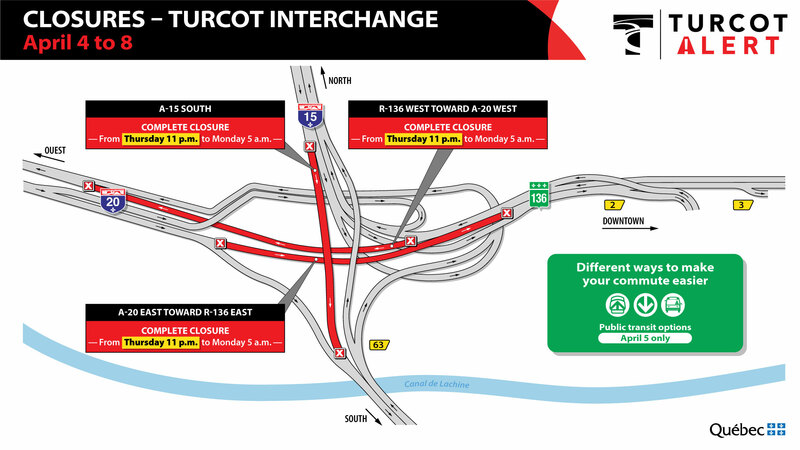 [UPDATE] Weekend closures have been added to the exceptional Friday closures announced earlier this week for Turcot. Please read below for everything you need to know before the weekend of April 5-8 kicks off. GOOD NEWS: there is light at the end of the tunnel for residents of the South Shore and Nun's Island! 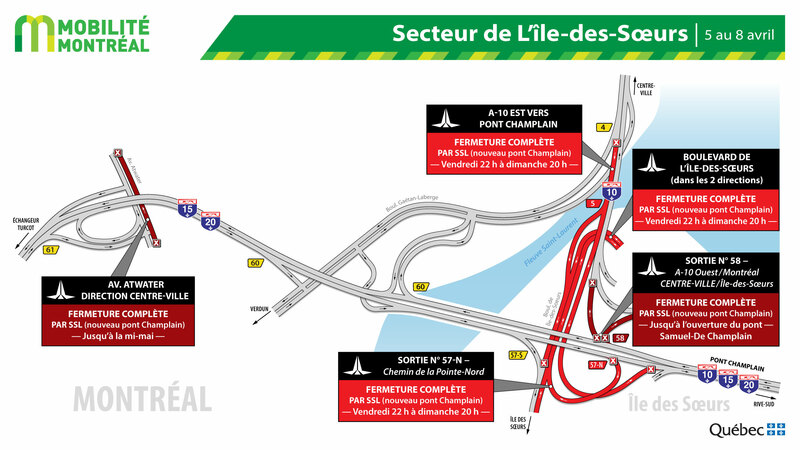 Thursday, the SLL consortium, which is building the new Samuel-de-Champlain Bridge, announced it will be open in the Montreal direction on June 3. The Brossard direction will open two weeks later, on June 17. Bus lines redirected to Angrignon station: Line 111 (from Haut-Saint-Laurent) and Line 28 (from South-West). These lines usually go to Mansfield Terminal. FREE metro passes will be given to riders on these two lines. 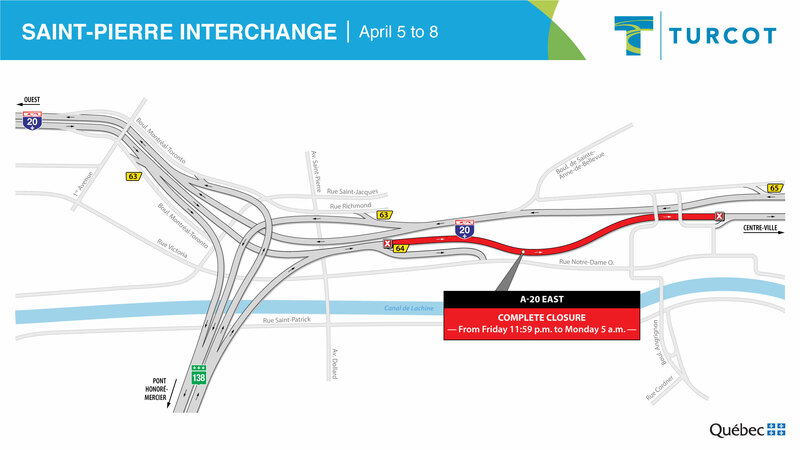 Three main ramps in the Turcot Interchange will be closed all weekend. More closures are yet to be announced for Saturday and Sunday. 20-E CLOSED 11:59pm Friday to 5am Monday. Map of the area.